Welcome to our website! Thank you for your interest in the University of Florida Obstetrics and Gynecology residency program. We recognize that choosing a residency program is one of the most important decisions of your professional life. Within this website, you will find information about our educational curriculum, a description of the Gainesville community, a review of the requirement for applicants, introduction to our residents and faculty, and answers to frequently asked questions. The mission of our training program is to educate you in the entire breadth of obstetrics and gynecology and to help you develop a lifelong commitment to the learning and promotion of women’s healthcare. 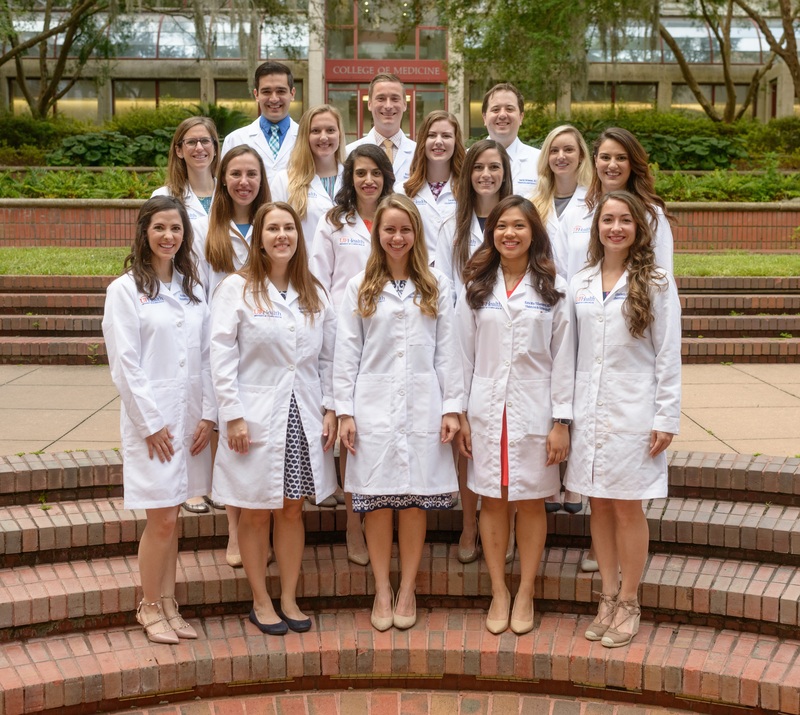 Through direct patient care, small and large group conferences, faculty mentoring, individual instruction, surgical labs, and simulation exercises, our dedicated faculty will help you acquire the cognitive knowledge, surgical capabilities, and interpersonal skills required for a successful career in our field. Upon completion of our program, you will be fully prepared for the independent practice of obstetrics and gynecology. Furthermore, you will be fully prepared for advanced training in any of the subspecialties should you so desire and equipped with the skills and knowledge to become a leader in our field. Your training will take place at the University of Florida Health Science Center. The Health Science Center is a modern, integrated facility that includes the colleges of Medicine, Nursing, Health Related Professions, Pharmacy, Dentistry, and Veterinary Medicine as well as five hospitals. The five hospitals, UF Health Shands, the UF Health Cancer Center, the UF Health Heart and Vascular Hospital, the UF Health Neuromedicine Hospital, and the Malcom Randall VA Medical Center, combined have over 1,600 beds and provide the latest in state-of-the-art inpatient and outpatient services. All medical specialties are represented at the Health Science Center. Our department continues to be recognized as one of the top 50 Ob-Gyn departments in the United States by the U.S. News and World Report. We are the primary source of obstetric and gynecologic care for women in Gainesville and in the surrounding rural counties. In addition, we serve as a tertiary level referral center for high-risk obstetrics, oncology, general and urogynecology, and endocrinology patients throughout the state of Florida.